Like any project, One Laptop per Child has had its ups and downs since the project was started back in 2005. However from my perspective things have never been as bad as now, and it really seems like OLPC is quickly falling apart. Much more more than just a crack in the facade. In the past 3~4 years things sometimes seemed shaky but in general at least my personal outlook was positive thanks to the existing olpc and Sugar communities, the excitement about the work being done in implementations around the world, and in particular Uruguay's Plan Ceibal project. However in the past 12 to 18 months OLPC started to take a turn for the worse. In retrospective the lackluster results in the February 2012 report of the long-term IADB evaluation of Peru's OLPC project might become to be considered the beginning of the end. OLPC's complete failure to address the report's findings over many months combined with The Economist's overblown "Error message" piece (and OLPC's 3-day delay in reacting to it) from April 2012 turned into a PR disaster. Decision makers around the world who hadn't heard much about OLPC in a while had negative news about the project physically delivered to their doorsteps and breakfast tables. The underlying core issue was - and continues to be - that OLPC never bothered to invest in building supportive evidence for its own narrative about the impact of its work. This makes it easy to (rightfully or wrongfully) criticize the project and gives OLPC precious few solid arguments to counter with. Of course having Nicholas Negroponte talk about dropping laptops or tablets out of helicopters since mid-2011 didn't really help its cause. A couple of weeks after the The Economist article it became obvious that OLPC's XO 3.0 tablet - which it had previously demonstrated with much hype at the CES 2012 tradeshow at the beginning of the year - would be delayed. A couple of months later Negroponte announced that the device was cancelled, sharing the fate of its cancelled XO-2 predecessor. Again, not a confidence-building announcement. Then in early January of this year OLPC announced the XO Tablet which left many of OLPC's followers, including yours truly, wondering what OLPC was up to. Fluffy marketing and its dream-focused interface aside, the tablet was a generic 7" Android tablet in an ocean of inexpensive Android tablets. I quickly started referring to the device as the Walmart Tablet as OLPC initially announced that it would become available at Walmart.com and select Walmart stores in March. Then in mid-May it was announced that the release had been pushed back to June. The title of my corresponding post was "XO Tablet Supposedly Becomes Available on June 1" as I had become quite skeptical about OLPC's ability to deliver the XO Tablet at all. As I write these lines at the end of June the XO Tablet is nowhere to be found on walmart.com and OLPC has neither said anything about it in several weeks nor replied to e-mails with questions about what's going on. Moreover I have heard, but haven't been able to independently confirm, that at least three other people who are listed on the people page are in fact no longer working for OLPC. Overall things aren't looking good for OLPC. And while I hope that the organization can turn things around I'm not sure how realistic that is given all these developments and especially the hemorrhaging of employees. Resumen en español: Como todo proyecto, One Laptop per Child ha tenido sus altibajos desde que el proyecto se inició en 2005. Sin embargo, desde mi punto de vista las cosas nunca han sido tan malas como ahora, y realmente parece que OLPC está cayendo rápidamente a pedazos. Los informes sobre los resultados de la evaluación del proyecto OLPC en el Perú y el fracaso de OLPC de responder a ellos de manera oportuna y adecuada podría considerarse el principio del fin. El anuncio, luego retraso y finalmente la cancelación de la tableta XO 3.0 tampoco era bueno para la confianza. Luego del anuncio de la XO Tablet también dejó a muchos de los seguidores de OLPC, incluyendo yo, preguntándose lo que la organización estaba haciendo. Todos estos acontecimientos no hacen una buena impresion, pero el mayor indicador de que OLPC está realmente cayendo a pedazos es que la organización ha perdido muchos empleados clave en los últimos meses. En general las cosas no pintan bien para OLPC. Y mientras espero que la organización puede cambiar las cosas, no estoy seguro si esto es realista dado todos estos desarrollos y sobre todo la hemorragia de los empleados. Biggest tragedy if things do fold is the grass roots folk who have put so much into 'modding' the movement to create the success we have seen. 1. "A project that evidently believed the device itself was enough..". Nobody who's been in the OLPC community around for a while "believes" - better is "claims" - a technology alone, without organisation, people, training, community, teachers, etc. is enough to solve everything. 2. "...THEY could have done more...", "if only focus had been from the start on training etc. ...". 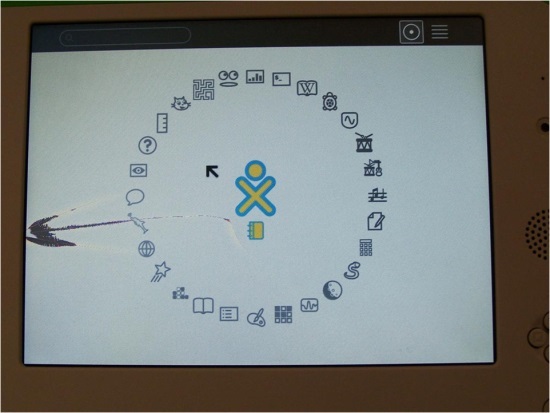 OLPC is an open hard and software and open community project. Who is "THEY" ? I think Prof. NEGROPONTE - I don't even have to point to his title - just Mr. NEGROPONTE will do; he managed to bring resources to the table to bring the "age" old insight that it is more valuable to breng knowledge to people iso charity money money, food, etc. to poor people, into an acceleration, combined with his position into the MIT, we have to acknowledge it was thank to his and his team and institute that not only it got into an acceleration but crystallized in this open hard and software and community project and into an XO-XServer combination. "THEY" should have done more? Aren't you pointing a finger to yourself and others? It's an open community project. What have YOU done? What have other people in the educational landscape done: ministers of education, people active in the educational (ICT) landscape? Is it fair to state and throw all that is still to be done, under development, that is not done, etc. at the OLPC not for profit? I think Prof. NEGROPONTE and all the people around him, all the OLPC community members in all the wisdom they have and don't have - have taken things VERY far. Further than anybody has ever done. I applaud them for that and I'm proud I'm part of that OLPC community. 3. A very doable initiative: the minimum order is 100 XO's x ±164€ = 16.400€. Is it that hard to talk about OLPC around you and get people to put that amount in a pot and place the order with OLPC? Just ask around you: What "e-device" are you going to buy for your kid? A tablet? A laptop? A gameboy/nintentdo/playstation? The XO defends itself very well: a strong box made for learning,you don't have to choose as it is AND a laptop, AND an ebook, AND a tablet, AND you can play games on it, it's allows to link op with the open hardware and open software community, wikipedia, wikibooks, etc. 3. "if only focus had been from the start on training etc. ...". Is there anybody at OLPC who prevents anybody to help out with the training aspect? You want to wait until everything is perfect until you do something? Action, doing something is viral, especially if you have something tangible. There is intelligence in the group, not just the OLPC community but in the local group where the XO-XServer is deployed and you can count upon that to help fill-up the holes and missing links. Hi Sven - please don't mistake my comment written hastily after a first read as being anything other than a comment on the parent body of OLPC's way of doing a program 'to' a community rather than with it. I know - I've worked closely with one of their regional arms (that to its massive credit has broken with the overseas models of XO deployment) over a 4 year period. And yes, I include myself in the 'they'. The OLPC community has and will continue to be amazing. The original XO was a marvel. But device and good people alone can only last so long. And maybe thats ok, as I said 'they (the parent body) succeeded'. But as a supporter who has put much effort in, don't you think I have a right to be critical when a program for schools is not run by teachers but academics, or to feel let down when XO model after XO model is cancelled? What else could have driven the program on? If it had been a 'lets make education better' program, then great. But it was always a 'let's deploy XOs' program with the learning results coming randomly after - altho yes, I will take even random results over nothing sure. Thanks for the positive outlook and the T.H. White quote, Adam. Mission accomplished: the dream came true for many children, some big countries are now aware of what it takes to nurture large deployments, the solftware is free (as in free speech), the community is here alive, and most of all: now that engineers have done their work, anyone better understand it's not a laptop project, but an educational project. Back to work! Thank you Bastein for your logical comments that sounds so close to reality. Yes indeed there is a lively community that supports oLpC, but this is not the issue here. The issue is that personnel is going away and is not replaced. The reason for that I think is simply the precipitous decrease of XO orders. The question though remains. Where do you go from here and how far can you go along the same course without al least few hundred thousand XOs order every year? In any case, I think the content of the post is mostly marketing-speak. They're desperately trying to keep up the impression that things are going well and according to some sort of plan... Hopefully I'll find some time this weekend to dissect their post in more detail. It was a bad idea from the beginning. The only reason this demented project ever took off is that Mr Negroponte has very powerful political connections. But the project itself has no scientific basis or merit. I feel bad for the poor kids in poor countries stuck with a subpar device that brings no benefit to their education. Dear Mophisto, I wish you would try to understand the philosophy of learning to learn and think within the context of how children learn specially in developing countries. In Pakistan, for example schools are not places to learn, they are places where teacher bombard children with "information" and expect them to recall that "info" it in annual examination. In the process half of children dropout of schools and become easy recruits for extremist. In my involvement with OLPC I learned the situation is turned around with OLPC. I insist please look at the entire concept of OLPC and then we can talk. Regards.